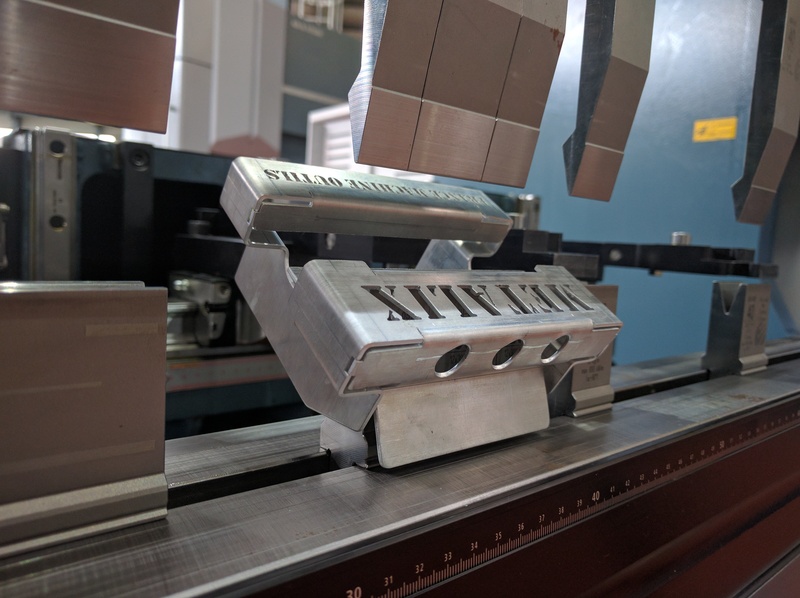 Thanks to Metalix we can make a lot of our work so much more cost-effective, making us very competitive in our market. Thanks to the time we save we can take on more projects than previously possible. 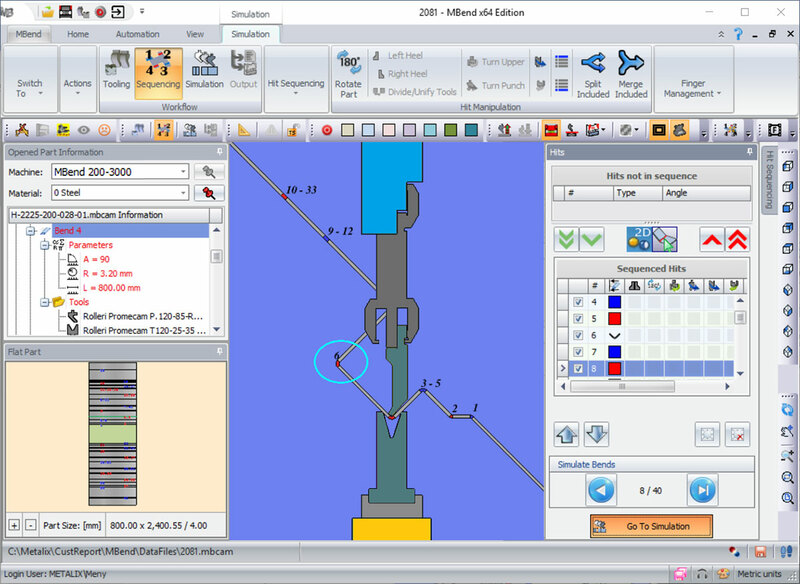 MBend is an application for programming and simulating CNC press brakes to maximize production resources. MBend enables offline calculation of tooling setups and bend sequences, with dynamic 3D simulation for avoiding collisions of the part with the machine elements. 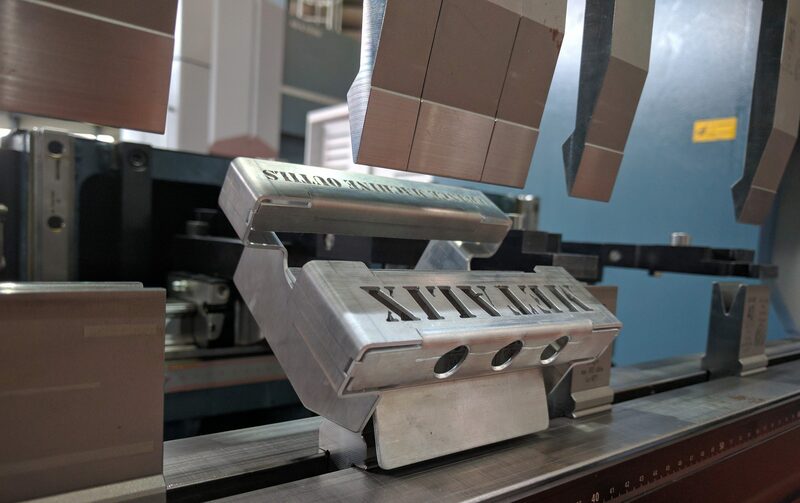 When required, all automated processes can be done manually, allowing full control over the entire process from flattening to simulating and bending your parts. MBend enhances your productivity, accelerates design-to-production times with automated features, minimizes machine down-time thanks to offline programming, and reduces stock wastage because of collision-less bend sequences. MBend is you need to generate NC code for producing (bending) the part. When you have groups of parts to prepare for production, feed them into the MBend automation and sit back. MBend runs through your parts, processing them according to the strategy you set. If parts fail during the first run, backup strategies are initiated. 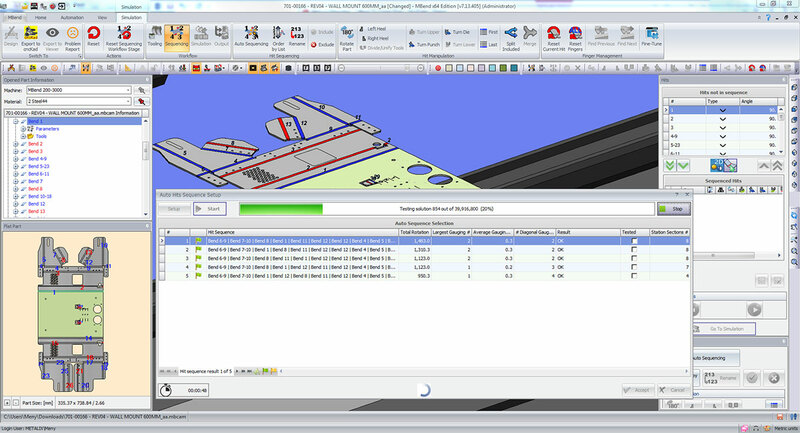 MBend produces reports and NC programs for all the parts in the batch. MBend provides support for your tandem press brakes, taking into account all the fingers available for gauging your parts. 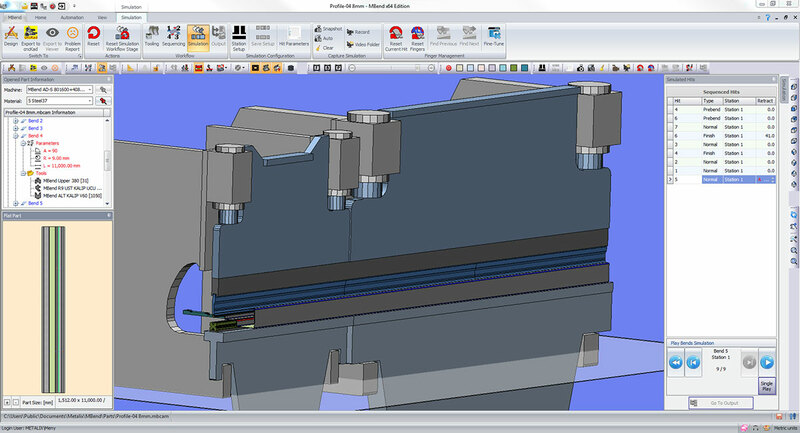 Whether your machine has two, three, four, or more fingers, MBend faithfully simulates and generates NC for your parts. MBend enables automatic and manual control of finger positioning, and also supports delta-X configurations for multiple fingers. Sometimes, your bends cannot be created with a single hit because the part collides with the table, the die, or even the beam. 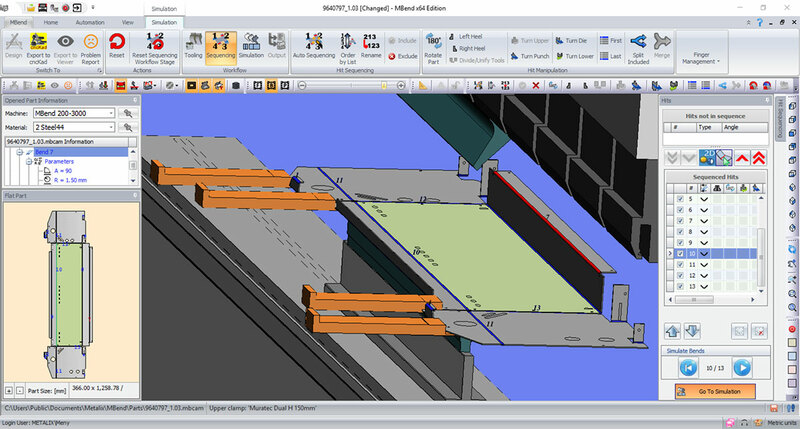 For such cases MBend offers you automatic and manual splitting—bending partway, then later closing to the final angle. In the picture, bend 6 (circled in cyan) to 90° causes a collision with the upper clamp. Splitting bend 6 in two hits allows for collision-free bending, initially only with a partial bend as you can see in the picture, and finalizing the bend to 90° with another hit, later in the sequence. Parts with six to eight bends can be sequenced without too much trouble. Parts with 12 or 16 bends are much tougher. More than twenty bends are a real problem. MBend can take your part, whether it has ten, twenty, or thirty bends, and find a collision-less solution, if one exists.